These pictures were taken during the spring snowmelt. 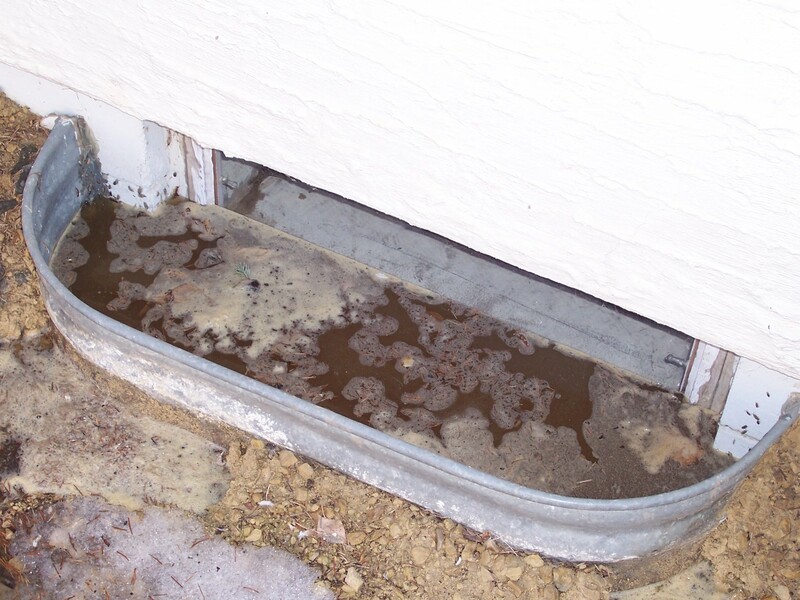 The yard didn’t slope away from the foundation, in fact a little pond was forming in the yard by this basement window. 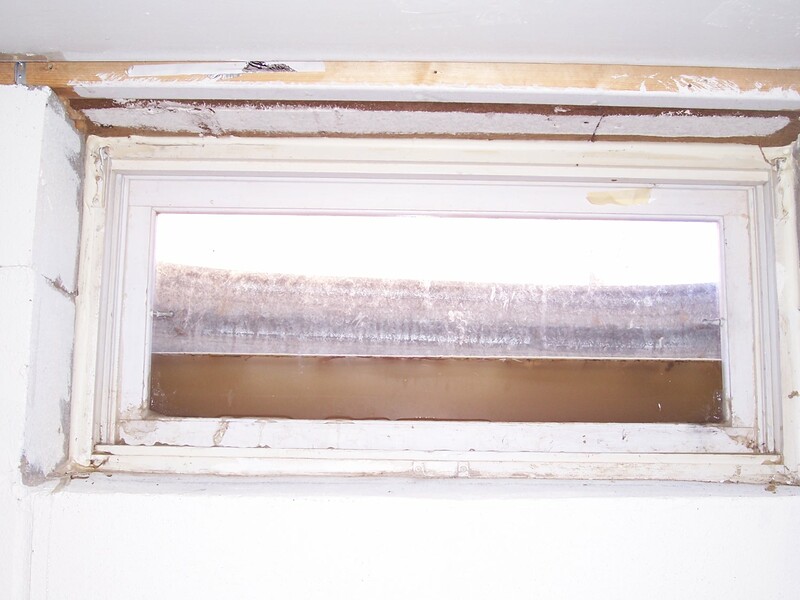 Most houses have this problem, but not to this extreme! The best solution is to re-landscape the yard so there’s a slope away from the house. Here’s an example of wiring that isn’t quite “up to code”. The main danger here is the potential fire hazard. Why a fire hazard? With this many things plugged in, the wires can overheat and start a fire. 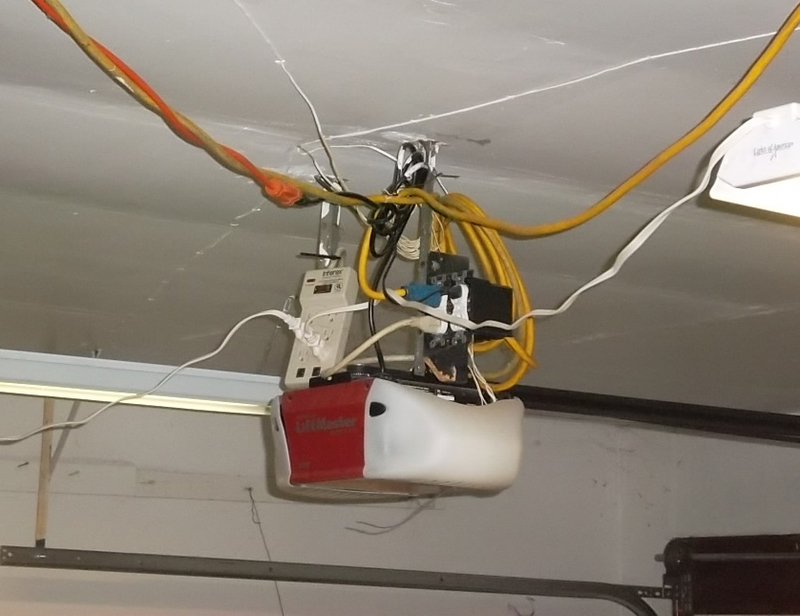 The fluorescent lights on the ceiling are also plugged into the tangle, when they should be wired with permanent wiring.